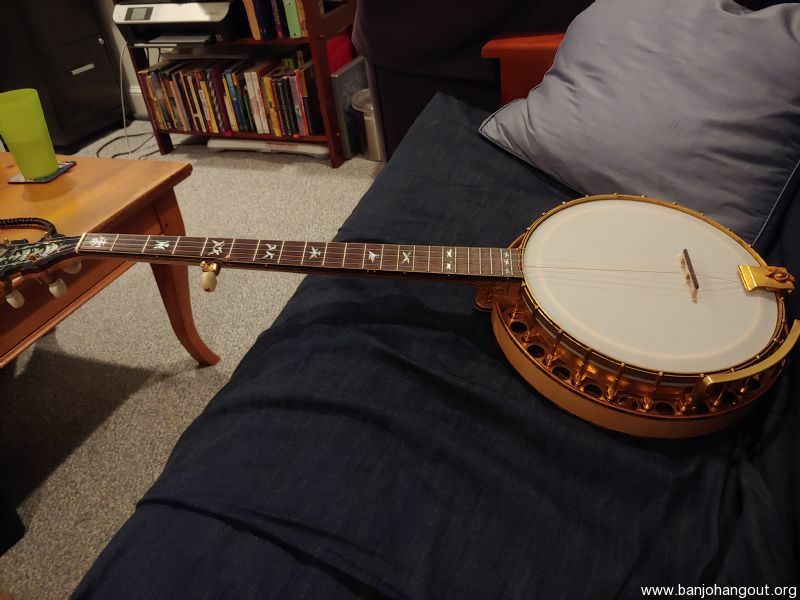 For sale is an original early 5 string Paramount Style E owned by "Banjo" Bill Bowen. A previous owner had a truss rod added (adjusted at the heel) and replaced the 5th string peg with a geared peg (original button present). Three hooks have been replaced and the replacements are not gold plated. I'll consider trades for Mastertones and Mastertone style banjos. Looking for a banjo to play melodic and progressive music on.